Homepage for Author Mark Carver: MEGA-DARK BOOK BLOG TOUR - SM WHITE: "FANTASY VIOLENCE"
MEGA-DARK BOOK BLOG TOUR - SM WHITE: "FANTASY VIOLENCE"
My final guest for the MEGA-DARK BOOK BLOG TOUR is SM White, author of dark tales and unsettling sagas. What is it about violence in fantasy novels that appeals to us, or repulses us? We’ve seen readers embrace this kind of content with George R.R. Martin’s “A Song of Ice and Fire” series. 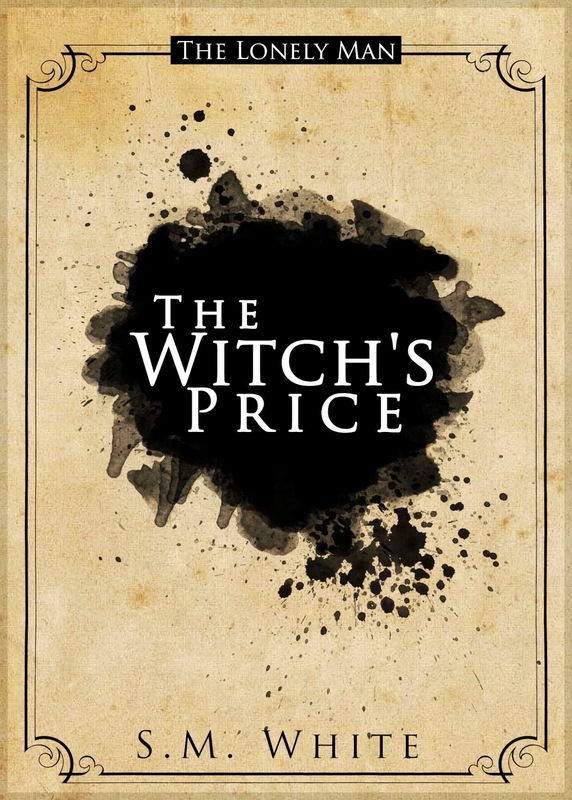 And I’ve encountered readers who thoroughly revile such substance in my own novel, “The Lonely Man: The Witch’s Price.” While Martin has stated that he writes with an intent to make his readers uncomfortable, my own efforts in developing “The Witch’s Price” was never along the lines of, “I wonder how much I can make my reader suffer with this scene.” The scenes in my book, the graphic violence, the explicit sexual conversations, were all organic to the plot. The characters naturally came upon these situations, or their personalities were suited to such coarse discussion. It was all part of the novel, following the world and the peoples therein. Yet I’ve taken quite a bit of flack for my depictions. I think that what appeals to the people who accept the violence is that they understand how the violence arises, that it’s necessary to the characters’ growth and journey through the narrative. They don’t question a man getting hacked open, or a woman being fondled. They’ve looked deeper into the world, seeing that men and women live and survive under these circumstances. The societies are loose and often lawless. Human beings are violent by nature, and those readers know this. For those with adverse reactions to such gory scenes, I’ve heard everything from, “The world is violent enough, I don’t need it in my fantasy,” to “I prefer the stories where the hero is good and has morals and the story is happy.” To the first, I often respond with something along the lines of, “My fantasy world is violent, to ignore it would be to ignore the story.” And to the second I very often say, “Then read that kind of story.” I’ve never tried to pawn my story off as something bright and happy. I think I’ve made it clear that what I write is dark and gritty and hard to swallow. But it’s entertaining. The characters are fun and engaging. And the world they survive in is a harsh and terrible place, making their quests all the more perilous. So if you like you fantasy that’s creepy and gory and dark, try me out. If you prefer something with candy sprinkles and hearts and marshmallows, then you should look elsewhere. You can read more about me, as well as free short stories and novel excerpts, at smwhitefiction.com.